When you’re in the market for a new pickup truck, you’re probably prioritizing power, capability, and technology. Luckily, the 2019 GMC Canyon has it all...and then some! This pickup truck is no stranger to the worksite or weekend getaways to the lake, allowing drivers to tow whatever they may need with a maximum towing capacity of up to 7,000 LBS. The power behind the 2019 GMC Canyon comes from its standard 2.5L 4-cylinder engine or available 2.8L Duramax Turbo Diesel 4-cylinder engine, which produces up to 310 horsepower. Compared to other vehicles in its class the Canyon also offers impressive fuel efficiency with a combined rating of 22 mpg with the 2.5L 4-cylinder engine. But not only does it compete at the top of its class in terms of performance, but it also has one of the best entertainment suites on the market. Equipped with a standard 7-inch touchscreen display or an available 8-inch touchscreen display, the Canyon is sure to please even the most tech-savvy of drivers. Combine that with wireless charging, Bluetooth, 4G LTE WiFi, and a Bose Premium Audio System, and the 2019 GMC Canyon has everything modern drivers are looking for. If you’re worried about the safety of your next truck, you will be pleased with the standard technology onboard the 2019 GMC Canyon which includes a Rear Vision Camera, Teen Driver technology, Stabilitrak, and Daytime Running Lamps. GMC made certain that these important safety features were kept affordable, and offers nearly all of its safety technology standard on even the base trim. Overall, the 2019 GMC Canyon is a surprisingly luxurious and capable pickup truck. From its top-of-the-line onboard entertainment to its advanced safety technology and fierce capability, the Canyon is the perfect vehicle for the driver looking to experience premium features on a vehicle that can get the job done. Not sure if you’re sold yet? Let’s take a look at how the 2019 GMC Canyon performs in a few of the most important automotive categories. Of course, one of the most important categories when discussing the purchase of a new truck is performance. And GMC certainly does not disappoint. 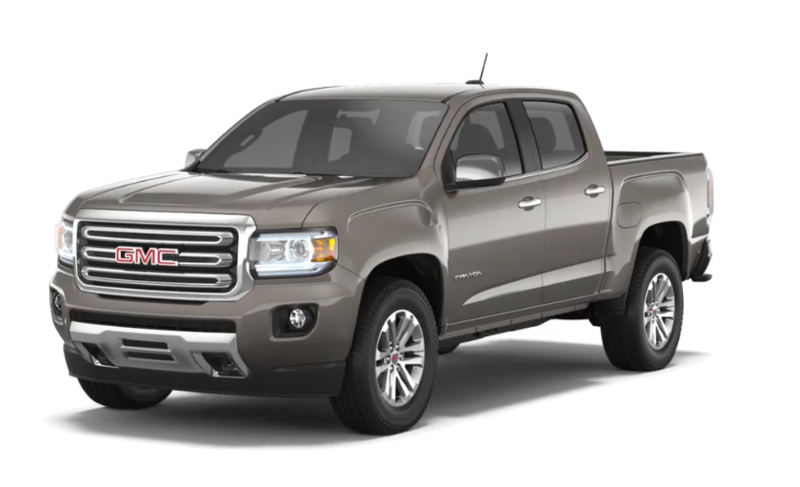 For the 2019 model year the GMC Canyon has a towing capacity of 3,500 LBS - 7,000 LBS, powered by the standard 2.5L 4-cylinder engine or available 2.8L Duramax Turbo Diesel 4-cylinder engine. When it comes to horsepower the 2019 GMC Canyon produces up to an impressive 308 hp. However, with this incredible level of capability the Canyon is still able to offer a fuel efficiency that rivals many SUVs and sedans at 22 mpg in the city and 30 mpg on the highway. Among the Canyon’s in-class competitors, this is an extremely high rating. When it comes to this capable pickup truck you won’t have to sacrifice your budget to feel safe on the road during long trips, towing and hauling, or when driving in less than ideal weather conditions. Drivers and critics note that the GMC Infotainment System is user-friendly, intuitive, and innovative, making each drive a truly enjoyable experience. For the tech-savvy driver, the 2019 GMC Canyon offers every entertainment feature you could want in an all-new pickup truck. Another popular feature of the Denali trim is that the GMC Driver Alert Package is offered at no additional cost. This package includes advanced safety tech like Forward Collision Alert and Lane Departure Warning. The upgraded 2.8L Duramax Turbo Diesel 4-Cylinder engine is another available option for this trim, and many drivers prioritizing power and performance often opt for this powertrain. With all of its luxury, technology, power, and capability, it’s easy to see why the GMC Denali trim has been a crowd favorite for so many years. If you’re looking for the most premium features of each and every category, you might want to consider investing in a 2019 GMC Canyon Denali. With this level of luxury, you’ll be searching for reasons to use your new truck as often as possible. Visit Us at Carl Black Roswell! Whether you’re interested in the all-new GMC Canyon or a used or certified pre-owned car, truck, or SUV, Carl Black Roswell can help you find the perfect vehicle for your lifestyle. Our staff is passionate about the vehicles that make up our inventory, so we look forward to matching every member of our lot with its perfect match. From browsing our inventory to financing, and even post-purchase repairs, the staff at Carl Black Roswell will ensure that your experience with our dealership is enjoyable and efficient while providing everything you need to feel confident driving off the lot. Worried about finding the best price in the area? At Carl Black Roswell, we pay close attention to our competitors’ prices and ensure that all of our pricing is fair and easy-to-understand. You won’t have to haggle for a discounted price. Instead, when you walk onto our lot you can feel confident that you are choosing from a high-quality inventory with incredible prices. When you choose to shop for your next vehicle at Carl Black Roswell, you’ll have the pleasure of experiencing the unprecedented level of service we offer our customers. In addition, you’ll quickly notice that each and every member of our team is highly trained and receives daily updates on the vehicles we have on our lot. We do everything to make sure that our staff can make the purchase of your new vehicle a success. 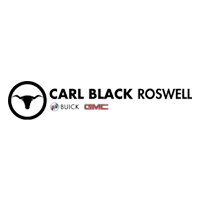 So, if you’re ready to search for your next vehicle, visit Carl Black Roswell today!